Do you have any questions about Bespoke Polished Concrete Fireplace Hearths? We welcome all enquiries for bespoke polished concrete fireplace hearths that you would like to have manufactured. We work closely with skilled UK tradespeople who have the ability to create stunning polished concrete products. The beauty of our polished concrete is we can cast intricate 3D designs in one piece, this cannot be achieved with natural materials like stone and granite. 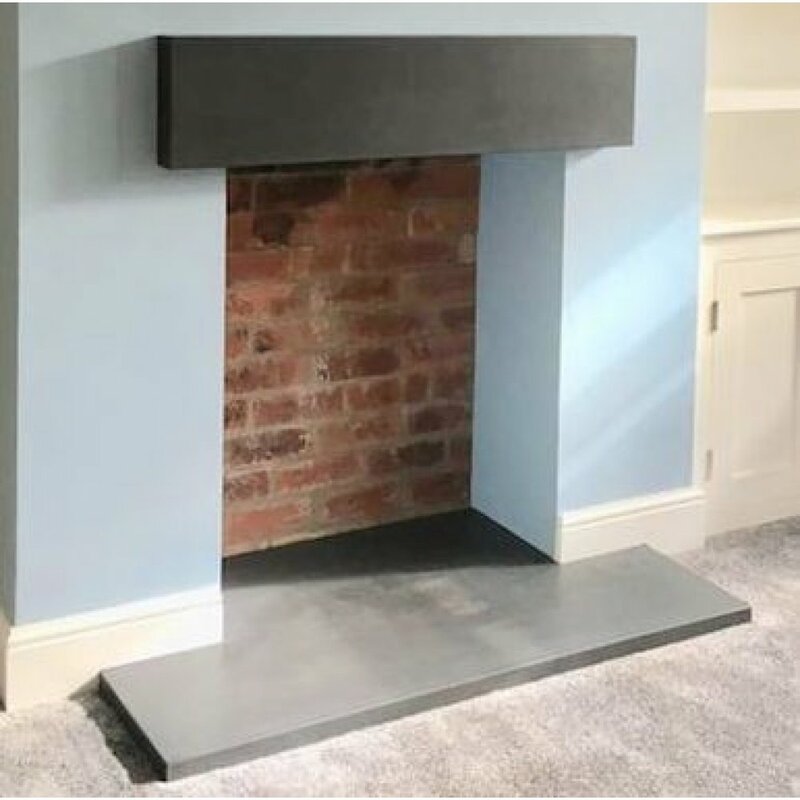 Your perfect polished concrete hearth, mantel or fire surround is made to your exact specification you choose the colour, size and thickness.